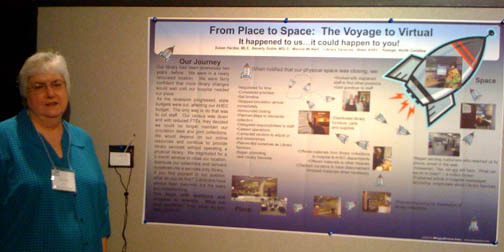 We introduced research posters printed on a foldable cloth material over two years ago, and the response has been great. When you are hopping on an airplane, the cloth poster goes easily into your carry on. As opposed to going through security with something that looks like a bazooka. There’s another big advantage of the cloth research poster. When tucked in your carry-on, it doesn’t count as a carry-on item. In a poster tube, your research poster will count as a carry-on item, and that could cause you to pay extra to check your bag, or to spend a bunch of time at baggage claim waiting for it. We’ve had terrific acceptance of our cloth research posters, and encourage you to give them a try! This entry was posted in Scientific Posters. Bookmark the permalink.